The ambition for Cornwall to become a world-leading centre for wave energy has moved a step closer to reality with the launch of a two-tonne (2000kg) buoy off the coast of Falmouth. 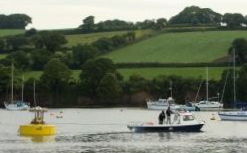 Developed by a team at the University of Exeter, the South Western Mooring Test Facility (SWMTF) buoy is a world first. It will gather detailed information to help inform the future design and development of moorings for marine energy devices. 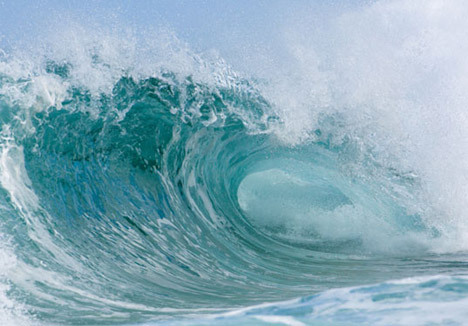 It will complement the South West RDA’s (Regional Development Agency) Wave Hub project, which will create the world’s largest wave energy farm off the north coast of Cornwall. It also supports wider ambitions to make the South West a global centre of excellence for marine renewables. 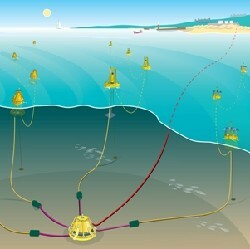 The SWMTF is the latest development from PRIMaRE (the Peninsula Research Institute for Marine Renewable Energy), a joint £15 million institute for research into harnessing the energy from the sea bringing together the technology and marine expertise of the Universities of Exeter and Plymouth. Led by Dr Lars Johanning, the PRIMaRE mooring research group at the University of Exeter successfully developed the £305,000 SWMTF with capital investment from the ERDF Convergence programme matched with funds from the South West RDA. The research team is part of the University of Exeter’s Camborne School of Mines, based on the Tremough Campus, Penryn. The SWMTF buoy has been designed with unique features so it can obtain very detailed data in actual sea conditions to show how moored structures respond to changes in wind, wave, current and tide. 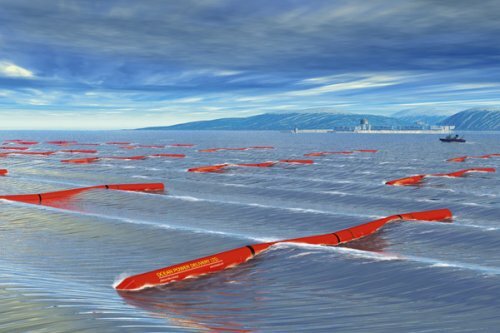 Using this information, developers will be able to model and test mooring designs and components for their marine energy devices as they convert wave movement into energy. The SWMTF will also provide data for a wide range of other marine devices. The SWMTF buoy has a simple, circular design, with specialised sensors and other instruments built into its structure, enabling it to record data to a high degree of accuracy and allow real time data communication to shore. It has taken a year to develop the buoy and its instruments. Most of the components were manufactured by companies in the South West, many of which are in Cornwall. Now that the buoy has been launched, the team will conduct the first tests, within the secure location of Falmouth Harbour. The buoy will then be moved to its mooring position in Falmouth Bay. Once moored at this location, data will be transmitted in real time to a shore station for analysis. A surveillance camera will transmit images to the PRIMaRE web page, allowing the team to continually monitor activities around the buoy. The SWMTF buoy also has the potential to support other offshore industries, including oil and gas or floating wind installations, in the design of mooring systems. Discussions are already underway with instrumentation developers to develop specific underwater communication systems. In addition the development of the SWMTF buoy has helped secure funding for a collaborative European FP7-CORES (Components for Ocean Renewable Energy Systems) programme, taking the University of Exeter to the forefront of European wave energy converter research. PRIMaRE will also play a strategic role in the Environmental and Sustainable Institute (ESI), which the University of Exeter aims to develop at the Tremough Campus. The New England Marine Renewable Energy Center, which includes professors and students from the University of Massachusetts Dartmouth, is developing a test site between the two islands that will determine the potential for a project that could power much of Martha’s Vineyard. Partners from other universities, including the University of Rhode Island, are researching other potential sites in New England for clean energy. The federal Department of Energy grant will mostly go toward the Nantucket Sound project but will also benefit other MREC efforts. The ATMC founded the Marine Renewable Energy Center in spring 2008 through funding from the Massachusetts Technology Collaborative based on the ATMC’s proposal with officials from Martha’s Vineyard and Nantucket. The partnership was hailed by UMass Dartmouth officials as an extension of the university’s outreach to Cape Cod and the islands. Creation of the tidal-energy project itself is still years off, said Maggie L. Merrill, MREC’s consortium coordinator. But the site, Muskeget Channel, has “a lot of potential,” she said. UMass Dartmouth School of Marine Science and Technology scientists are conducting the oceanographic surveys to locate what MREC calls “sweet spots,” where the currents run the fastest for the longest period of time. The test site will also be available to other clean energy developers to test their systems without needing to create costly test systems themselves, MREC said in announcing the grant. Besides the federal grant, the MREC consortium is funded by UMass and the Massachusetts Technology Collaborative. “While New England suffers from energy shortages and high prices, there is tremendous energy available in the ocean at our doorstep,” MREC Director John Miller said in the announcement. “MREC is here to open that door bringing electricity and jobs to our region.” Miller was given a Pioneer Award last week in Maine at the Energy Ocean Conference for MREC’s work. The conference, which bills itself as the world’s leading renewable ocean energy event, recognized MREC for developing technology, coordinating funding, publicizing development efforts and planning an open-ocean test facility.